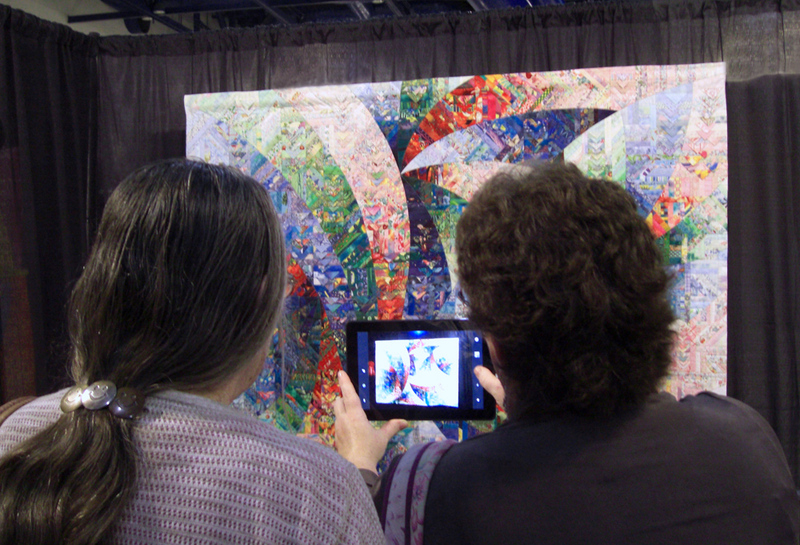 Like Brigadoon, the 2015 Houston International Quilt Festival has come and gone. One morning before masses of people arrived, I came across a lady instructing her friend on how to position the iPad so she could photograph Yoshiyuki Ishizaki's quilt "Kan Oh Chi Rai." Later that day, when it was crowded, I observed an amusing but sad phenomena that is becoming more common. When two or three large-screen users block the view of those surrounding them, some would-be viewers give up and begin looking at the images on those screens instead of the actual quilt, like concert-goers in the cheap seats watching the Jumbotron at a Rolling Stones concert. Let's all try to be kind and considerate. Then we can all see the quilts.